Retravision has unveiled its new-look website, complete with a new catalogue, a TVC showcasing its retail rebranding and the full list of Retravision locations across Western Australia, Queensland and South Australia. The retailer has also supported the online launch with a reinvigorated Facebook presence and a dedicated YouTube channel. 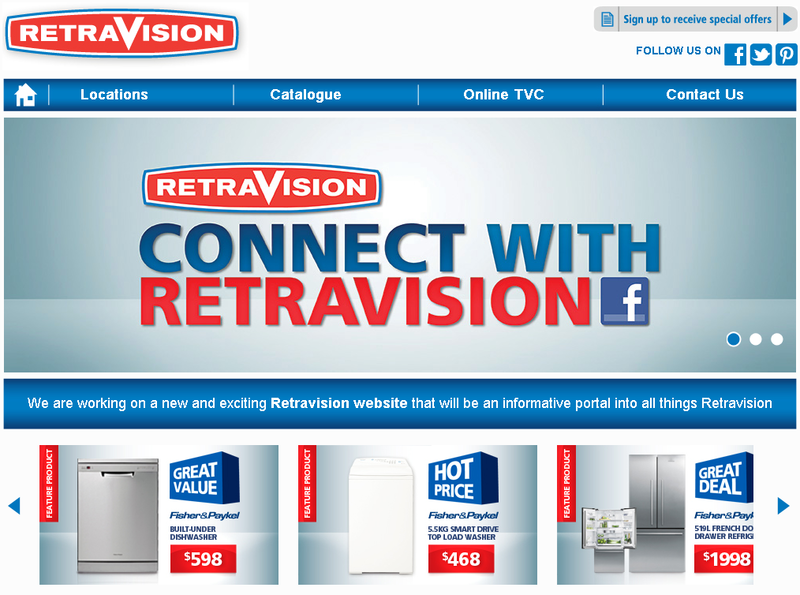 The site varies slightly from the old Retravision website and the retailer has opted for the traditional Retravision logo, rather than the re-imagined logo that was developed as part of the Retravision rebranding exercise conducted at the start of 2012. 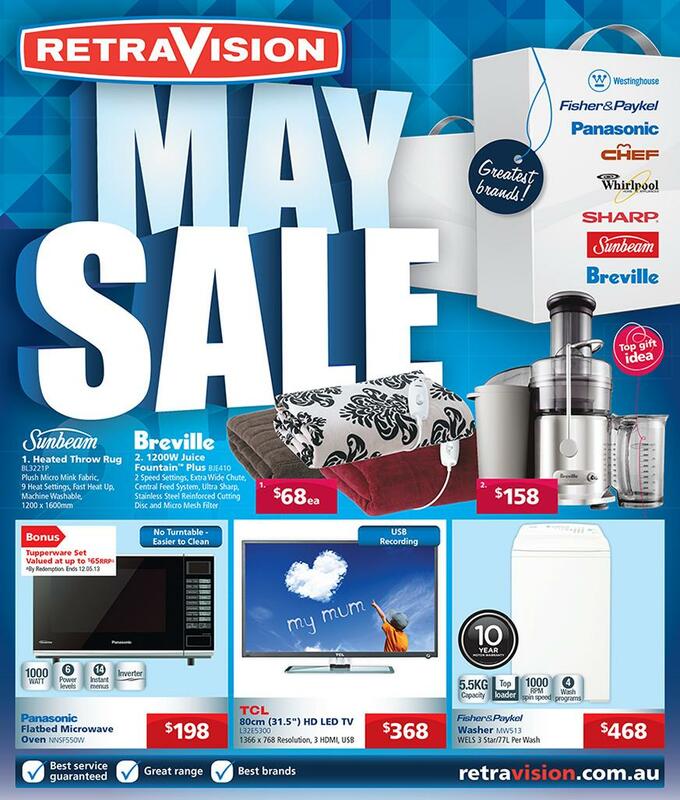 Brands advertised include Electrolux, Fisher & Paykel, Whirlpool, Chef, Palsonic, TCL and Sharp, as well as small appliances from Breville, Morphy Richards, Philips, Sunbeam and Tefal. These smalls brands are being spruiked as part of a Mother’s Day gift ideas section, in advance of Mother’s Day this Sunday. The new Retravision site has drawn attention to its social media presence, with links to Facebook and Youtube pages, however links to Twitter and Pinterest pages lead back to the main Retravision homepage. Although the retailer still has some way to go on the Facebook front (the page had 53 ‘likes’ as of today), the page has been recently updated with content, including a new commercial featuring boxer Danny Green. As part of its new website launch, Retravision is also running a promotion offering a “Bonus Round of Golf” for two at Araluen Golf Resort in Western Australia with the in-store sale of selected products from its catalogue. The new Retravision website, launched this week (click image above for a larger view). Retravision’s first catalogue (click image above for a larger view).